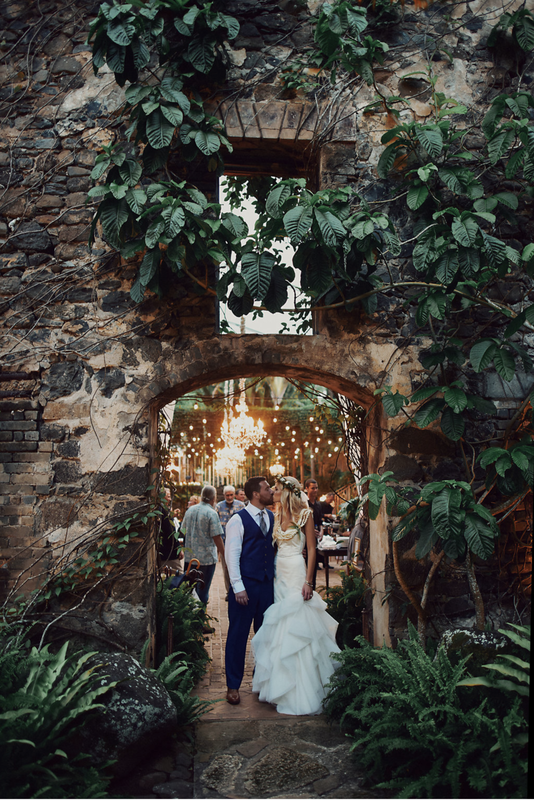 Lindsay and Matt's classic white wedding at the Haiku Mill was featured on Novelty Bride. The sweet couple met working at a sushi restaurant in Boulder, Hapa. She Linsay says, "I was a hostess working part time, while I was still in college, and Matt a sushi chef. I remember the moment I asked my coworker who was the guy behind the sushi bar with red beard and the rest was history. One of our first dates he surprised me with taking me to L&L BBQ in Denver." Lindsay danced to 'No Kipukai' By Bill Kaiwa. It was a very special song because her family presently owns Kipukai, located on Kauai. Her Ancestor, Jack Waterhouse, bought the property back in 1948, which the song acknowledges him. It is a very sacred place to Lindsay's family. Lindsay took 8 years of hula and was taught the song under Kumu, Gordean Bailey. She was lucky enough to practice the song with her before the wedding a couple of times. AND was able to keep it a secret from Matt!